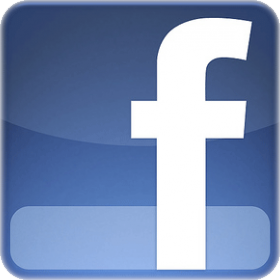 Dr. David Olree Exclusively Utilizes The Zenith Hi-Low Drop Table! 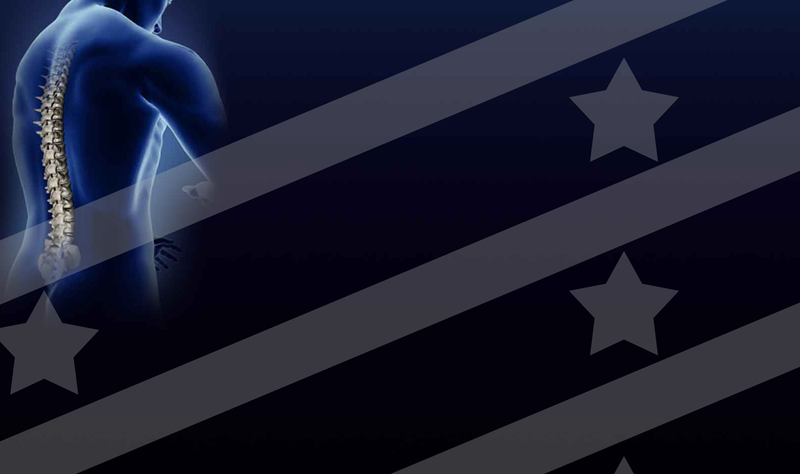 World Class Chiropractic Adusting Tables! 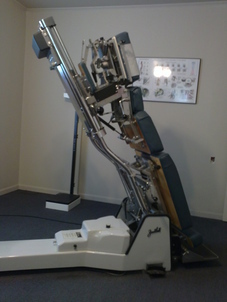 Dr. Olrees Chiropractic and Spinal Decompression Clinic in Rogers City features two Spinal treatment rooms with the world class Zenith Hi-Low drop tables. 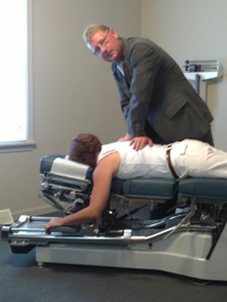 These unique spinal adjusting tables are versatile for adjusting most of the day to day spinal adjustments performed by Dr. David Olree. Patient comfort begins with the ease of getting on the table by simply stepping on the foot plate as the table slowly lowers to the proper position, and when the adjustments have been performed, the tables slowly rises back up to the upright position! As shown in the pictures above. 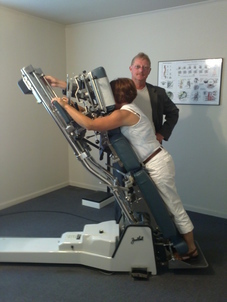 Dr. Olree exclusively uses the Zenith Hi-Low drop tables when performing 60-70% of his patients adjustments. This is a Chiropractic technique that allows spinal adjustments to be performed with out the high force or "cracking" and "popping" sounds that many patents are uncomfortable with! The "drop" table allows the adjustment of the spine to be performed while comfortably laying on their stomach. This unique Chiropractic adjusting table is considered the gold standard of Chiropractic Adjusting tables world wide! Thats right, the "Cadillac" of adjusting tables available right here in Rogers City. This table is so unique that it features a "break away" section to specifically allow up to full term expectant/pregnant women to be able to comfortably lay on their stomachs so Chiropractic spinal adjustments can be performed on thier low backs, hips, pelvis, neck and shoulder regions with total comfort and NO pressure on the fetus!